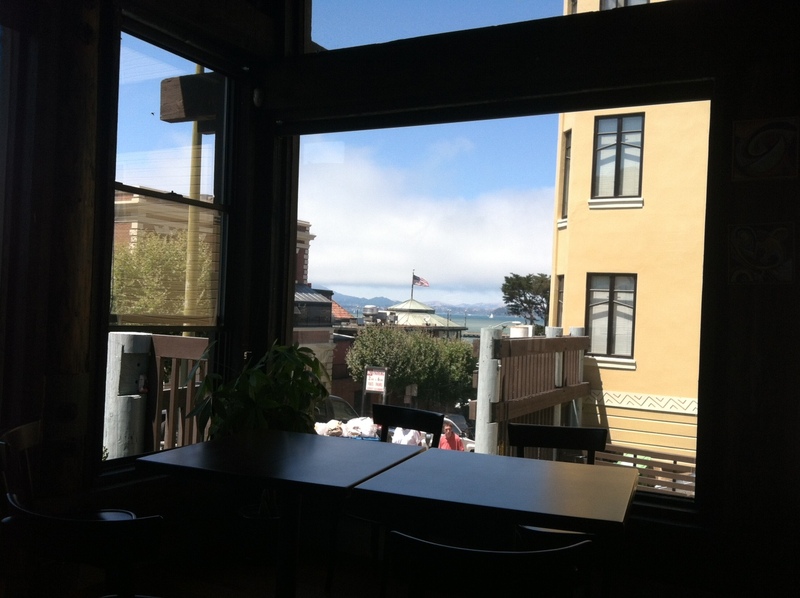 If you work from home in San Francisco, you have to check out Black Point Cafe (4.5 stars on Yelp! ), a gorgeous coffee shop on the Bay. Besides the AMAZING view of San Francisco Bay from most seats in the house, they actually welcome people working on their laptops (of course, you should be considerate and buy something every couple of hours). I pretty much only leave when my battery runs out. If you work from home in San Francisco and need to get out of the house regularly, you’ll know that most coffee shops hate laptop campers, even if you buy stuff regularly like I do. Often you can’t even get a table in a downtown coffee shop. To add insult to injury, usually there are annoying startup douchebags talking loudly about their VC pitches. None of this happens at Black Point Cafe. Black Point Cafe is located on Larkin and North Point, across the street from Ghirardelli Square. It might be a little out of the way, but it’s worth it. Besides it’s on the 47, 30, and 45 bus lines, and about 2 blocks from the end of the 49 bus line. Do yourself a favor, hop on the bus and head on over. If you want to do a work-from-coffee-shop day with me at this place, let me know!